This time of year, it’s common to think about your financial goals. But where do those financial goals come from? For many of us, the goals we set are determined by our financial regrets from the previous year. Why do you have a goal to save more? Probably because you regret not saving much money last year. Pinpointing your regrets is an important part of moving forward — at the very least so you can avoid mistakes in the future. What are the Biggest Financial Regrets Americans Have? According to a recent survey conducted by GoBankingRates, the biggest money regret of 2017 was not saving more. So it makes sense that the biggest money goal for 2018 is to save more and spend less. The three next biggest regrets are spending too much on non-essentials, not investing in the stock market, and falling into debt. Clearly, it appears that many Americans are worried by how much money they are spending. As we move into a new year, the concerns about what’s next could be behind some of the regrets — and the new resolutions. I know I’ve had plenty of financial regrets in my own past. For me, a lot of my regrets come from spending on non-essentials. I like spending on things I don’t need. In fact, I like to eat out, go to movies, and have my nails done. However, occasionally I spend money on a knick-knack I don’t need, and over time, those small spending decisions add up. Plus, in the past, I used to be bad about not saving and I used to have my share of debt. Changing the habits that led to these financial regrets was a huge game-changer for me. 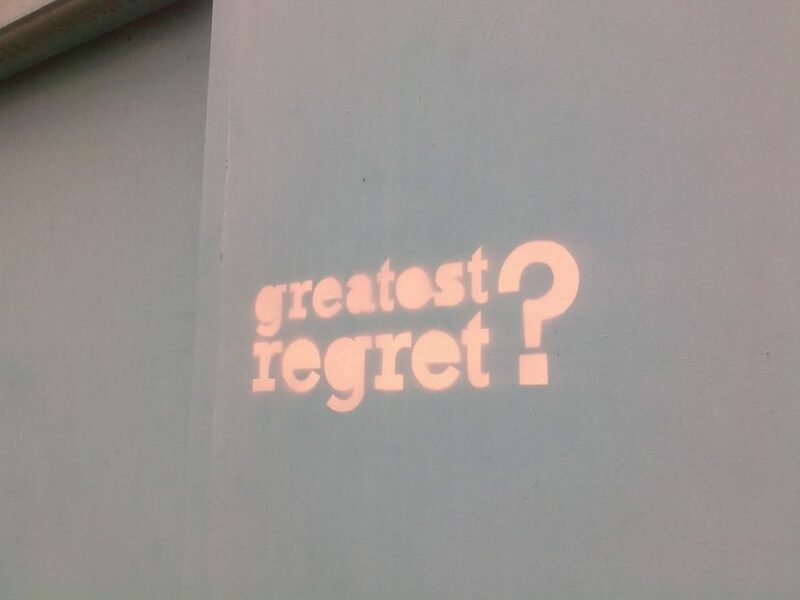 What’s Leading to Money Regrets? If you have your own regrets about how you manage your money, you can change the situation by determining the cause of those regrets. Most change starts with self-reflection and understanding. WHY aren’t you saving enough money? Is it because you have been spending on non-essentials and you don’t have the funds leftover to save? Maybe you haven’t taken the time to figure out what matters most to you, and so you haven’t made saving a priority. Perhaps you are in a tough financial situation, and you have an illness or you are underemployed. Examine the reasons you aren’t happy with your finances, and see if you can spot patterns. Several years ago, when I had a minimum wage job, I realized that, even though I had a meager income, I was still frittering some of my money away on unnecessary things that I didn’t actually enjoy. It was only about $20 a week, but that was money that could have gone into savings. I decided to make it a priority to save $10 a week. It doesn’t sound like much, but it was about the fundamental shift in my mindset and my priorities. Because I was honest about my situation, rather than looking no further than my low income, I figured out a way to eke out a few bucks a week for savings. While you might have different results, you can still take a hard look at your situation. It’s not always pleasant to come to these realizations, but it can help you change the way you look at money — and reduce your regrets. At first, it’s not about how much you can save, or how much you can invest. After I established a savings habit, I decided to start investing. I began by investing $50 a month in a Roth IRA. Once again, that’s not much. But changing your money habits isn’t about making huge changes tomorrow. In fact, that’s a quick road to failure. Trying to accomplish everything all at once is likely to result in unsustainable efforts. Instead, you need to make small changes that help you adjust your mindset. Figure out your priorities, and then make small shifts in your spending so that your decisions reflect your values. As you make these small changes, and as your mindset shifts, you will find it easier to make bigger adjustments down the road. Learn from your financial regrets, make changes, and you might be surprised to find yourself reaching your money goals in the coming year.